The Harrison Design Carry Groove grips are designed from the ground-up to offer the most useful combination of features for the 1911 owner who carries their weapon concealed. 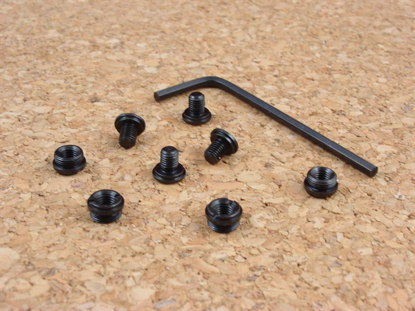 These grips are CNC machined from black G-10 composite for maximum durability. They are made by renowned grip maker, VZ Grips, exclusively for Harrison Design. The Carry Groove grips have a very light machined texture on the outermost surfaces, along with a pattern of five deep vertical grooves. The smooth outer texture is easy on cover garments as well as your skin when carried inside the waistband. 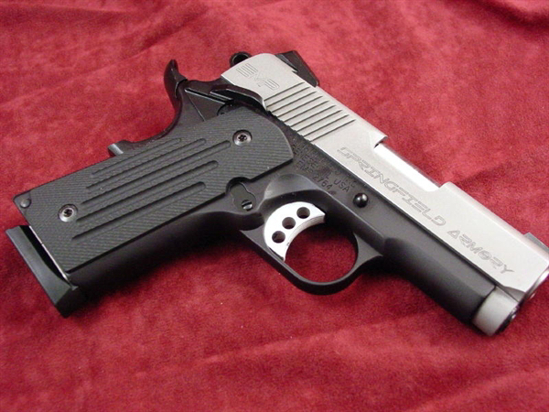 The vertical grooves allow the skin of your palms to extrude into them, when you grip your pistol. The tighter you grip, the stronger the traction. The traction available from the Carry Grooves is easily on par with any of the "porcupine patterns" out there. However, should you need to shift the pistol to hit the magazine release, the pistol shifts easily, the instant you relax your grip. Try a set and you'll be a believer! Now manufactured with my new Ambi-Vertable feature. The Ambi-Vertable pocket allows you to use the grips as they come out of the bag on your pistols with a strong-side only safety. If you have an ambi thumb safety, you can easily trim away the back wall with a sharp box cutter, opening the pocket up for your ambi safety. These grips have a nominal thickness of .180".